The Lithrone GX40 is equipped with many features that are effective in varied types of package printing. High speed, automatic nonstop operation to handle long runs and deliver world-class performance in deluxe package printing. 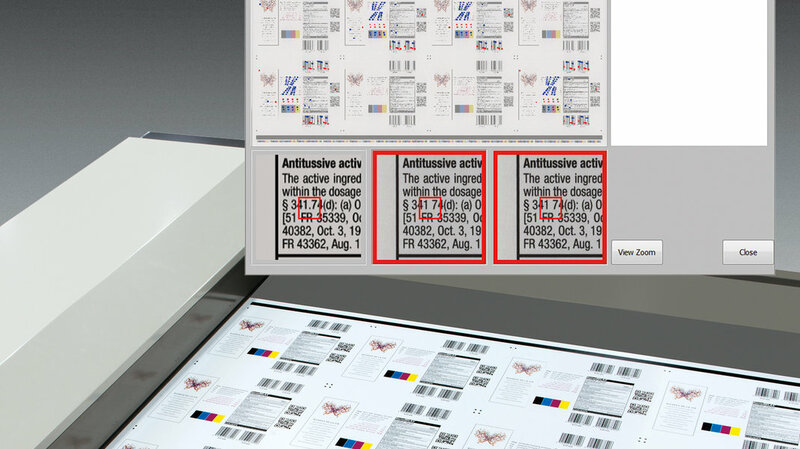 New control systems that are indispensable for maintaining and assuring the deluxe print quality of packaging. 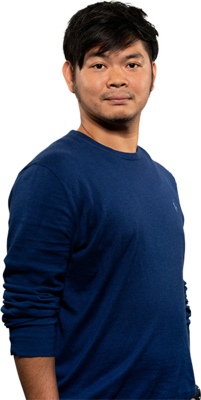 Komori leads the world in printing technology. 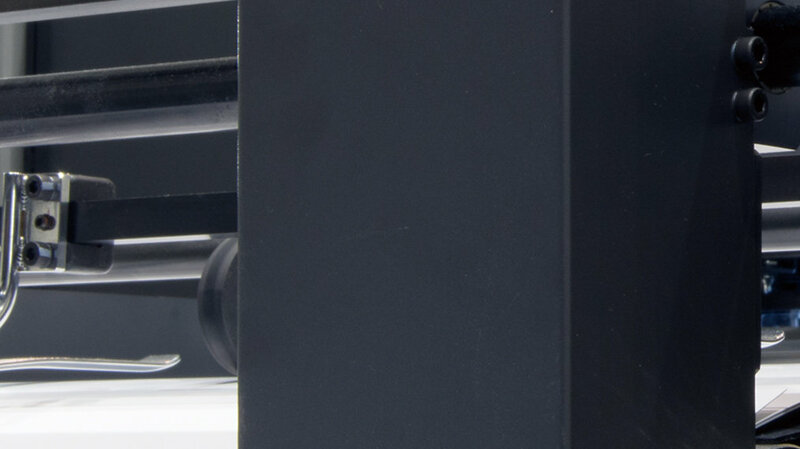 The legendary Lithrone S Series has evolved into the advanced Lithrone G Series. 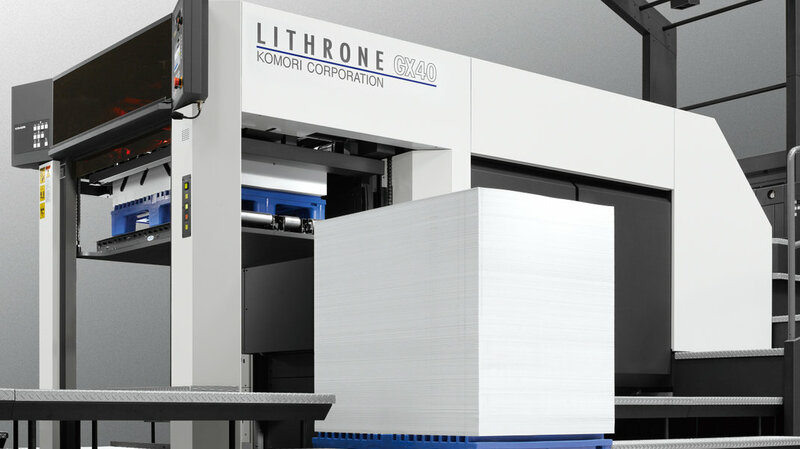 Now, Komori presents the cutting-edge Lithrone GX40 — the pinnacle of Komori technologies and expertise. In addition to extremely stable printing at the 18,000 sheets per hour maximum printing speed, even with heavy stock, the Lithrone GX40 delivers both significantly improved print quality and enhanced agility for colour changeovers. The power to cover not only high-end commercial and publishing printing but also package printing due to exceptional print quality and flexibility. Everything needed for a range of demands, including automatic nonstop operation and control systems to handle long runs at high speed, advanced automation, new washing/cleaning systems, and availability in special configurations for high added value work. In particular, new functions and systems have been added specifically for package printing. The energy-conserving and space-saving design, along with reduced heat emissions, provides genuine benefits for the environment. The Lithrone GX40. Komori’s flagship machine for fulfilling the most demanding requirements. Offering a sheet thickness range of 0.06–1.0 mm, this press provides very stable operation at the 18,000 sph maximum printing speed thanks to new sheet feeding performance. The new automatic ink roller washing system significantly improves colour changing, which is a bottleneck in printing with special colours. Equipped with a new fully automatic nonstop operation system, printing of long runs at the maximum printing speed is enabled through linkage with an optional stock transport logistics system. 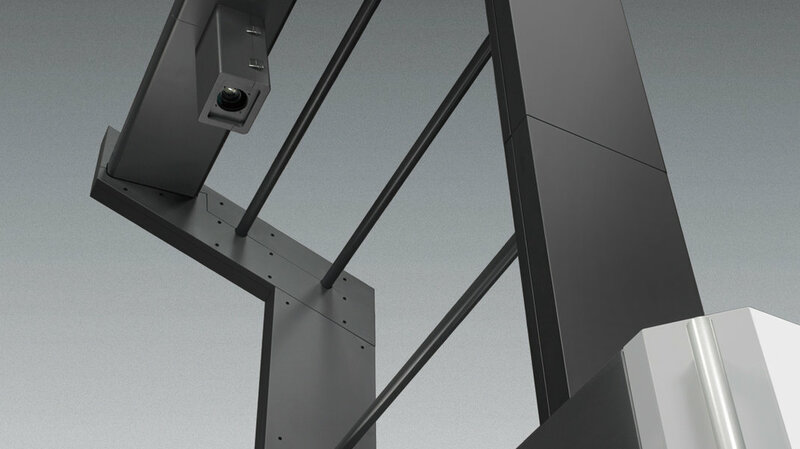 A PDF comparator system that uses sensors to read the printed image for comparison with the originating PDF file data has been developed and may be specified with PDC-SX. This allows the operator to check for missing or added characters in the initial printing stage, preventing production losses. Designed to deliver high quality, short turnaround, high speed, stability and reduced waste in double-sided printing. A new system features single-edge gripping and eliminates sheet reversal. Single-edge gripping makes the margin on the tail edge of the sheets — an unavoidable structural requirement of perfectors — completely unnecessary, enabling paper costs to be cut by minimizing the sheet size. Eliminating sheet reversal ensures stable sheet transport that is capable of handling either light or heavy stocks through the use of four double size transfer cylinders. 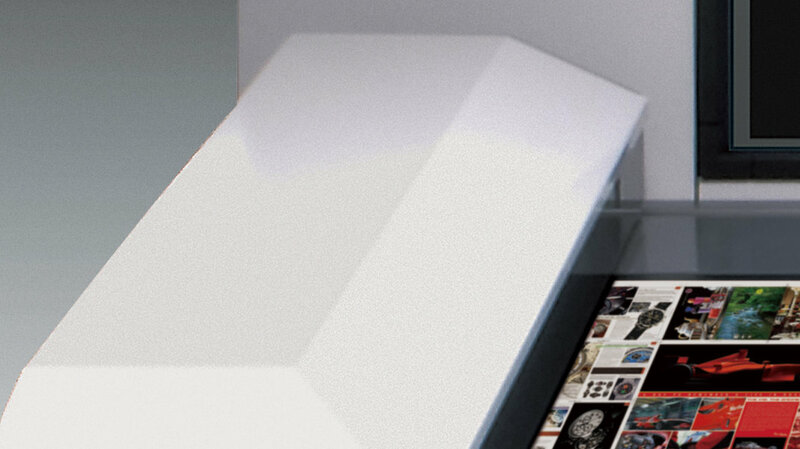 Front/back plate imaging is in the same direction, just as with single-sided presses, increasing efficiency in prepress.